The CA has just held that Collins J was wrong to hold (per my previous post) that the local NGO had a legitimate expectation that the Secretary of State would decide an air pollution issue, rather than leave it to the Environment Agency. In a nutshell, the Inspector (and hence the Secretary of State) was entitled to change his mind on this issue. So the expectation crumbled, and so did this judicial review to quash a decision to allow a waste incinerator to proceed. The claimant Forum had been objectors at a public inquiry. 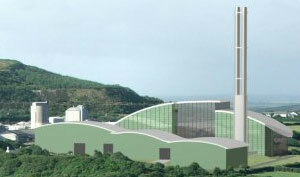 As a result of the inquiry, the Secretary of State (SoS) decided to grant planning permission to SITA for the construction of two energy-from-waste plants. The proposed site was next to two Special Areas of Conservation (SACs) which were protected under the EU Habitats Directive as transposed by the Conservation of Habitats and Species Regulations 2010. One of the sites contained the extremely rare Western Liverwort (Marsupella profunda). The 2010 Regulations laid down who were to be the ”relevant” and “competent” authorities. The SoS was both. The inquiry finished its main hearings in May 2010. In August 2010, the Environment Agency issued a draft environmental permit for the plants, saying that there was no need for an appropriate assessment. The parties then made submissions on that draft permit. In December 2010 the Agency issued the final permit. The inspector thereafter reported, but this was only released to the parties when the SoS adopted that report in May 2011. The inspector relied on the issue of the permit as an indication that an “appropriate assessment” of the impact of the development upon the SACs under the Regulations was unnecessary. He reasoned that the Agency was also a “competent authority” and it would not have issued a permit if an appropriate assessment had been necessary. The Forum said it had a legitimate expectation that the SoS would act as a competent authority and decide before granting planning permission whether an “appropriate assessment” under the Regulations should be carried out but in breach of that legitimate expectation he had improperly abdicated his responsibility to the Environment Agency. Collins J agreed with the Forum. It wasn’t that the Agency was not also a competent authority but SoS was also charged to make his own assessment of the impact on the SAC. He could not delegate that function to the Agency, even though their responsibilities overlapped. The SoS’s conclusion was indeed in breach of the objectors’ legitimate expectation that he would act as the competent authority. Regulation 61 requires all competent authorities to make an appropriate assessment. Regulation 65(2) makes it clear that regulation 61(1) does not require an authority to assess any implications of a plan or project which would be more appropriately assessed by another authority. The judge said that the inspector/the SoS could not completely defer to the Agency. The CA disagreed. It said that, by the time of the Inspector’s report, all the issues which had required consideration by those other than the Agency had disappeared from the case. Hence, the Inspector was entitled to change his mind, and decide that, after all the Agency was the best competent authority to decide things – even though the Inspector had approached things differently at inquiry. The core of the CA’s decision is in [36-38] of Carnwath LJ’s judgment. 36. There are in my view three reasons why the legitimate expectation, based on the representations made before or during the inquiry, cannot lead to the conclusion which Mr Wolfe urges upon us. In the first place, as a technical matter, the relevant “competent authority” was the Secretary of State, not the Planning Inspectorate or the Inspector. They had no authority to commit the Secretary of State to an election under regulation 65(2), or to the form of his decision. Their task was limited to that of holding the inquiry and providing a report to the Secretary of State. It was of course important that there should be consistency between the approach adopted at the inquiry and the basis of his ultimate decision. But that was a question of procedural regularity, not legitimate expectation. 37. Secondly, and more importantly, the representations reflect the circumstances as they were at the time they were made. At that stage the question of appropriate assessment was thought to depend on a range of factors not confined to emissions from the stack. It is understandable that it was assumed by all that the decision-maker under the Directive would be the Secretary of State. The issue of an election under regulation 65(2) was not addressed because it did not arise. In my view, nothing said then can be treated as a binding commitment as to the position under the regulation if circumstances changed, as they did, so that the only relevant issues were ones within the competence of the Environment Agency. 38. Thirdly, in the context of the planning appeal the debate about responsibility under the Directive is in itself of no practical significance. Whether or not the Secretary of State remained the decision-maker for the purposes of the Habitats Directive, he could not avoid responsibility for the planning decision, one aspect of which, as he recognised, was whether there would be “harm to acknowledged nature conservation interests”. On the facts of this case the two issues were inextricably linked. By the same token, in so far as the possibility of harm to those interests arose from stack emissions, he was entitled – in either capacity – to be guided by the expertise of the relevant specialist agencies, the Environment Agency and Natural England. It would be only if their guidance was shown to be flawed in some material way that his own decision, relying on that guidance, would become open to challenge for the same reason. The point of substance which lay behind this procedural battle was a difference between the parties as to whether an increment in the pollution load of less than 1% was or may be significant under the Habitats Directive, in circumstances where there were substantial existing pollutants. Carnwath LJ said that this question had been implicitly decided by the Secretary of State against the Forum, by accepting the Agency’s reasons in support of the 1% rule of significance. The judge had not been so convinced of this. If there had been such a decision, there were, Carnwath LJ decided, no grounds now to challenge it. So both procedural and substantive challenges fell away. And the £200m project can proceed.